The prize has been established in 2003 by the City of Kyoto and the World Water Council and held with the World Water Forum which is the international conference held once every three years since 2006. For more information of the prize, please visit here. After careful screening of the applications by Japan Water Forum and prize committee, Charité Chrétienne pour Personnes en Détresse (CCPD), that was chosen out of 144 applicants, is selected as the winner of the prize. CCPD has demonstrated splendidly in their projects involving with community people from the initial stage to completion, which was highly evaluated by the committee and Japan Water Forum. CCPD received 2,000,000 JPY as prize money at the awarding ceremony during the closing ceremony of the 8th World Water Forum in Brasilia, Brazil March 2018. 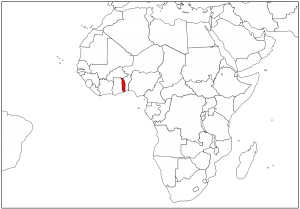 We would like to thank the twelve Japanese companies and organizations that financially supported the organization of the prize as well as the implementation of the project in Togo. 7 corporate sponsors; SHIMADZU CORPORATION, KAJIMA CORPORATION, TOKEN C.E.E. Consultants Co.,Ltd., Foundation of River & Basin Integrated Communications (FRICS), Japan Construction Information Center Foundation (JACIC), Japan Dam Engineering Center (JDEC), Japan Institute of Country-ology and Engineering (JICE), Water Resources Environment Center (WEC), PENTA-OCEAN CONSTRUCTION CO., LTD., River center of Hokkaido, KAWAI SAKUSEN KOGYO CO., LTD., and Nomurasuisan Co.,Ltd. 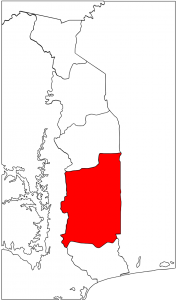 In the Agou-Klonou community, both water-supply and sanitation facilities are insufficient. Therefore, people cannot use clean water and defecate in the open. people drink, wash and cook with water from ponds and the river TALAN. However, before it reaches the project area, the water of TALAN is polluted with all manner of human, industrial and household wastes by riverside residents. In addition to that, The households, primary schools and health center are not equipped with latrines. 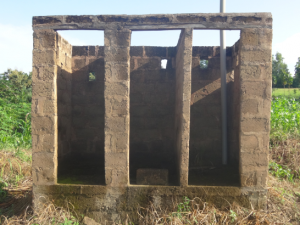 The existing 3 latrines in the secondary school have been abandoned for long time and is inappropriate for use, unless refurbished. 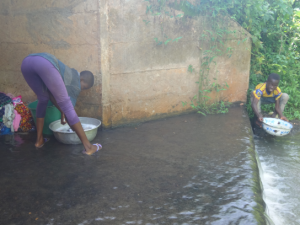 The use of dirty sources of water, lack of water supply and the poor sanitation expose people, especially women and children who are the most affected to infections such as cholera, dysentery, diarrhea, intestinal worms and typhoid fever. It shows up in high morbidity and mortality rate in the areas especially in child. ・6,000 residents in the community and 801 students and teachers of 3 schools will be able to use safe drinking water and safe sanitation facilities. Because of these activities, reduction of diseases caused by dirty water and unhygienic situation, and increase in food production by using fertilizer can be expected.